Welcome to Agriturismo Contrada Durano. This lovely farm relais is waiting to give you a real taste of an unspoilt country environment. Sparkling, intimate , an ideal retreat for a short vacation, a long weekend, a base for touring the southern Marche or even looking for a property of your own. This ancient house previously a refuge for monks at the time of the Papal State, has, after a long loving restoration been brought back to life and equipped with all modern facilities. It’s owners have been successfully running this establishment for over fifteen years which now boasts an international clientele from over 15 countries. The secret? 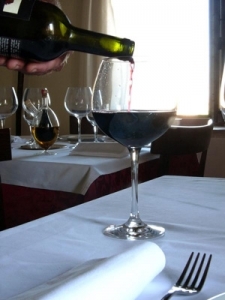 Exceptionally good food and wine, great comfortable rooms and bathrooms, friendly intelligent enjoyable company. Open nearly all year , Contrada Durano is waiting for you, take a look at the site you can find out about everything…the rooms , the food ,breakfasts, dinners, prices and how to get here. If you want to know something or find out if we have a room for you just send us the enquiry form or mail us and we’ll reply within 24 hours.